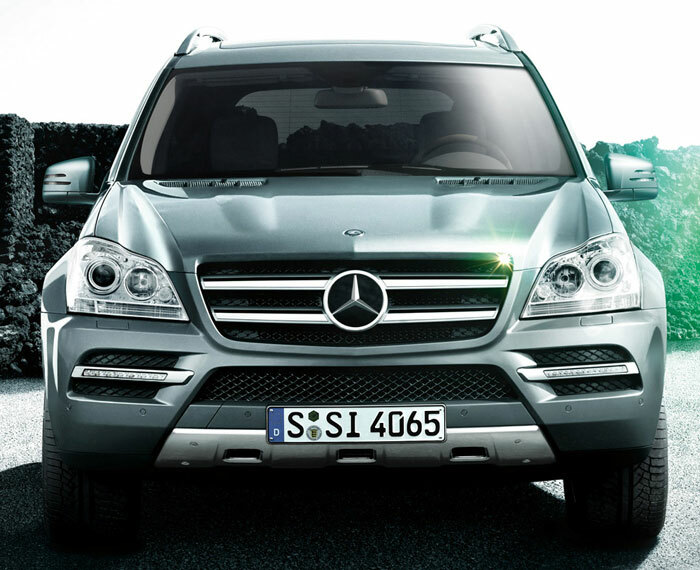 The Mercedes Benz GL class is very large luxury seven seater SUV with a price tag to match. It has been in production since 2006 and has had a recent update. It is spacious, luxurious, and has great performance. It is also one of the largest cars on Britain’s roads with the problems that brings and purchase and running costs are high. The sheer size of this vehicle means that it is eminently practical. There is comfortable seating for seven adults in the GL class mercedes and it comes equipped with electrically folding middle and rear row seats which fold flat to create a huge 2,300 litre load space. 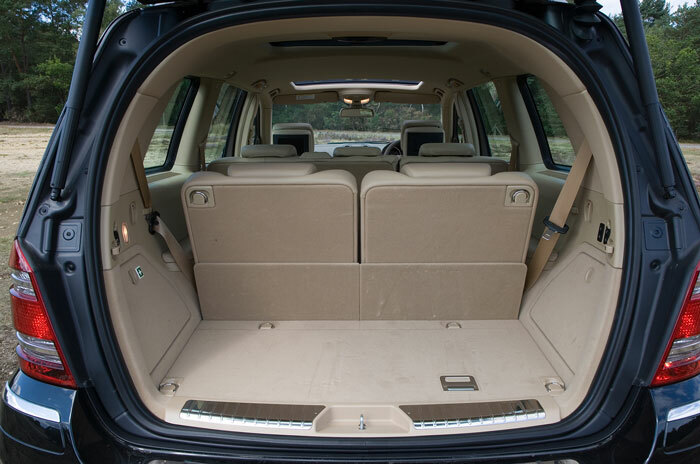 Even with all seven seats in place there is still a very impressive 395 litres of space. If you want to use the car to tow a caravan, boat or horsebox it is able to tow up to 3.5 tonnes. Performance is simply astounding for a car of this size. Buyers have a choice of just two engines in the GL class: a 3.0 litre diesel and a 5.5 litre V8 petrol. Not many European buyers will opt for the petrol engine which is very powerful but fuel economy is very poor. This engine develops 382 bhp and reaches 60 mph in 4.9 seconds which is remarkable for a car of this size but the trade off is just 20 miles per gallon. Still, this is sports car performance in a large seven seat SUV. The GL 350 CDI is the model of choice fitted with a 3.0 litre diesel engine which develops 261 bhp and does 0-60 in 7.9 seconds and a top speed of 137 mph. Sit in the drivers seat and you get a sense of the quality and craftsmanship which has gone into the construction of this car. Both the GL 350 CDI and the GL 500 come with a seven speed automatic gearbox with paddle controls on the steering wheel. You get Mercedes man made “leather” seats as standard which are almost like real leather. There is no Euro NCAP rating for this car but there are few cars available that have a more impressive list of safety features. Many of them are fitted as standard and some additional features are available as options. Attention Assist is standard and monitors driver behaviour to detect signs of tiredness and alerts the driver to take a break. There are systems which detect unexpected lane changes, maintain a minimum distance from the car in front and if necessary automatically apply the brakes to prevent a collision. There are seven airbags to protect passengers in the event of a collision including front, side and window airbags which extend the whole length of the car even to the third row. The GL class is actually built at the Mercedes factory in Alabhama in the USA and the GL is extremely well constructed. Many of the same engines and parts are shared amongst other models in the Mercedes line up and you should experience the same levels of reliability customers have come to expect of Mercedes Benz. 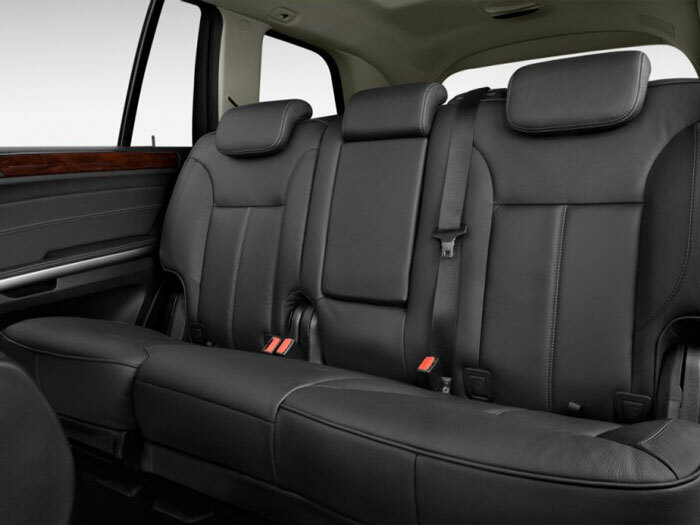 Few cars excel as well as the GL Class in providing seven passengers with this level of comfort. The two front seats are heated and electronically adjustable. The 63 AMG model even has a massage function. Air suspension is standard on all models and this means that the GL can take on all kinds of terrain and still keep the ride comfortable for passengers. Expect some large bills for running this car. The most fuel efficient diesel engine only manages 35.1 mpg and it slots into tax band L which is the second from highest with a first year charge of £815 and £460 every year after. Most of the GL Class SUVs that Mercedes make find their way to the American and Middle Eastern markets with just over two and a half thousand being sold in Europe last year. The problem is that a car this size means very expensive fuel bills. But if you are not put off by the purchase and running costs this is a beautiful, powerful and practical large seven seater 4×4.